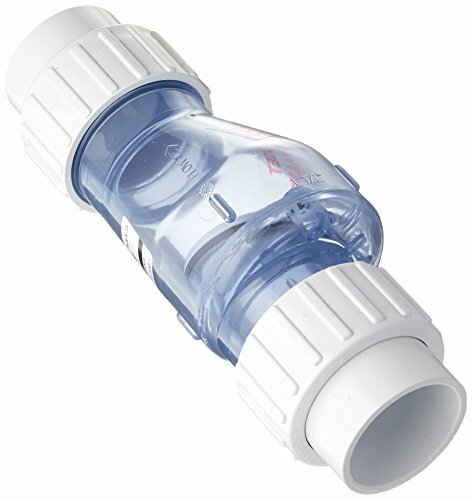 Made of high quality material, it is durable and long lasting use. 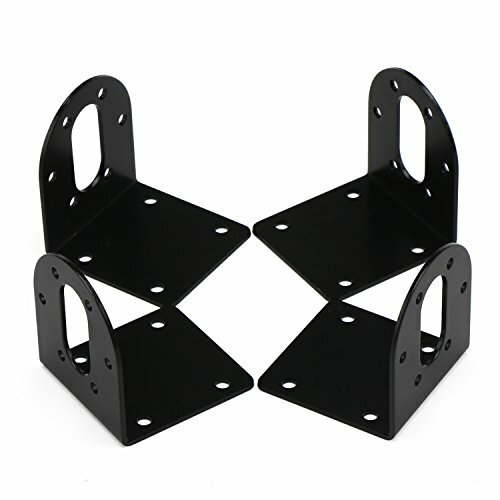 It is compatible with many stepper models. 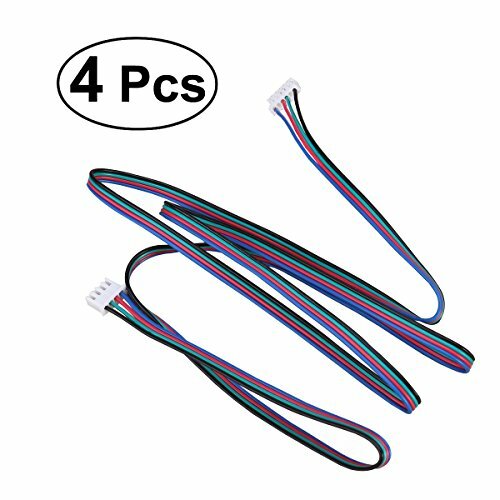 4 pin dupont connector of the driver side, compatible with RAMPS board and other. Size: About 100 * 0.5 * 0.2cm/39.37 * 0.2 * 0.09inch(L*W*H). Nite Ize is known for creating products that make your life easier at home, at work and on the go. Our trusted Original Gear Ties are a favorite around the world for that exact reason. The patented Gear Tie Original is the most versatile way to wrap, hang and organize nearly anything. Featuring a strong bendable wire interior that holds its shape and durable rubber exterior, Gear Ties can be twisted, tied and reused over and over, indoors and outdoors. They are waterproof, UV-resistant, and durable - they'll even hold up to salt water, and they have a soft rubber exterior that won't scratch, mark or ding. Whether looking for a colorful organizational wrap, a solution for messy cords and wires, a way to make DIY projects easier, or the most versatile tool for your work site, discover for yourself why so many people find Gear Ties to be indispensable. Available in a range of sizes and colors, you'll never go back to one-time-use zip ties and cable ties again. The colorful variety can even help you stay organized with color-coding. Our 24" Nite Ize Gear Tie is the great organizer for bigger unwieldy items. Made of a sturdy bendable wire interior and a soft, durable rubber exterior, it's flexible, strong, and incredibly handy. Organize major appliance and electronic cords, roll and wrap that yoga mat, keep your skis and skates together, and latch it onto bigger tools. It's tough enough to hang a full can of paint from the side of a ladder, a heavy lantern from a beam or tree branch - there are so many uses, we haven't even thought of them all yet. Each measures 24" x .4" x .4" and weighs a mere .95 oz. Twist it, tie it, reuse it Nite Ize has been creating innovative, solution-based products with quality, performance and value at the core for over 25 years. Based in Boulder, Colorado, we aim to continue offering imaginative and innovative products that make our customers' lives easier, safer and more fun. Restores life to your dremel rotary tool. 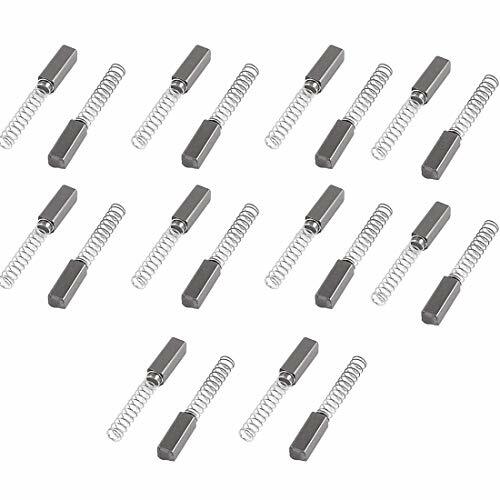 Carbon motor Brushes, Suitable for Dremel Carbon motor brush, Compatible dremel electric grinder tool 3000,200. Replace every 60 hours or the electric rotary tool over heating. This gear motor is powered by DC 6V power supply. Full metal gears are wear resistant. High reduction ratio and torque,reduction ratio is up to 1:1000. Small size and light weight.With centric output shaft(Diameter* Length):3mm x 10mm /0.12" x 0.39";It weights about 10g. 1. 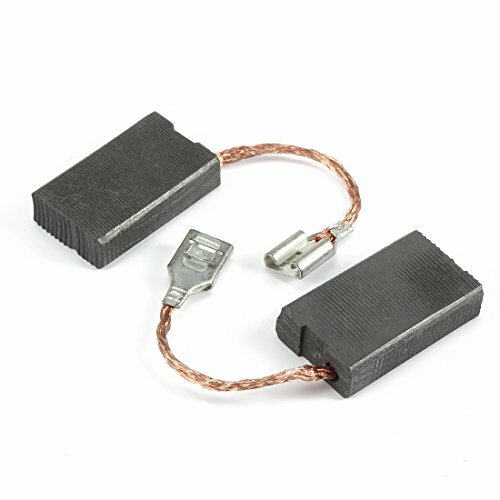 Pair 17mm x 17mm x 7mm electric replacement motor carbon brushes. 2. 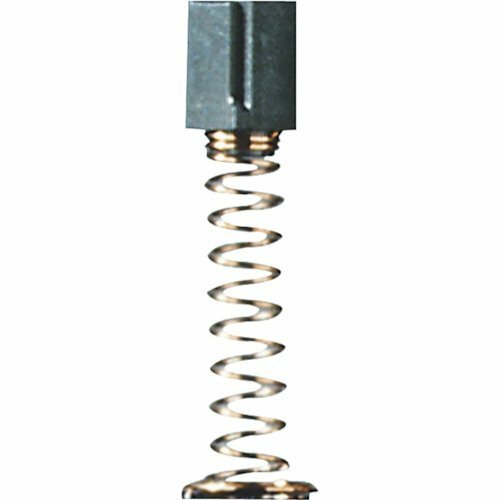 Carbon motor brushes are one of the most commonly replaced power tool components. 3. Carbon Brushes with wire leads and brush springs attached. Worn brushes are often the cause of a poorly running motor. Replacing carbon brushes can fix an intermittent motor. Worn brushes are often the cause of a poorly running motor ;New brushes can restore a motor's electric braking. Please note that this motor cannot be connected to the power supply directly. It should be connected to a constant current driver, otherwise, it will destroy the motor. Please ensure that the output current is not higher than the rated current of the motor (1.7A) or exceed the working voltage range of the motor (DC 9-42V). HIGH TORQUE: Adopting high quality motor steel material, DROK 3d printer stepper motor kit is provided with high torque (0.46 Nm/ 65 oz-in), low self-inductance reactance, responsive and can avoid system error. 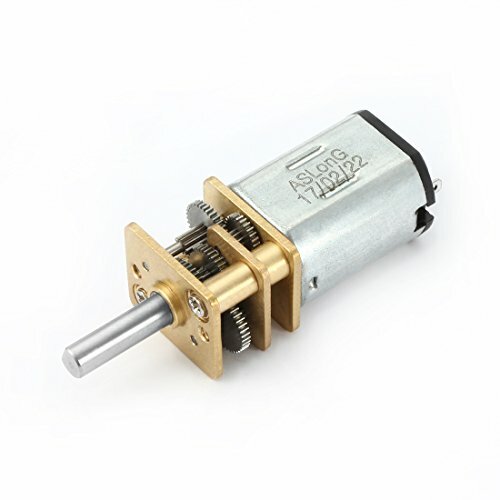 LOW NOISE: The internal rotor of our anet anet a8 stepper motor kit is made with introduced German craftsmanship and there is rotor rubber covering the rotor, effectively reduce the noise. 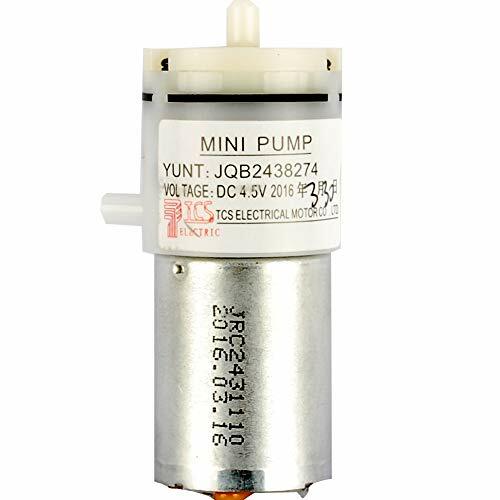 DURABLE & TOUGH: Our mini motor uses high hardness metal, tough and durable. And the matte texture in the side wall can increase friction. 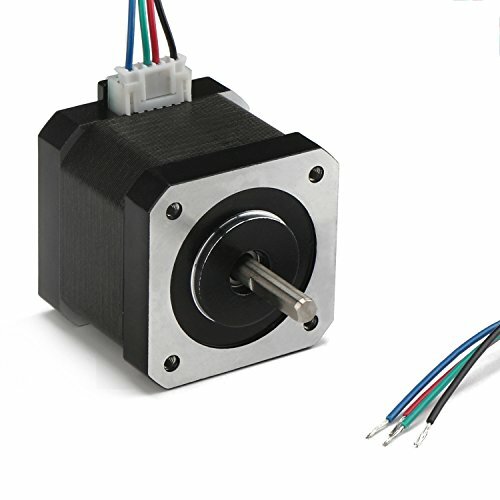 WHAT YOU GET: The package includes 1* 42 Stepper Motor. Anti-rust Paint Technique: DROK 37mm DC deceleration motor fixed seat adopts advanced anti-rust paint technique, which makes the bracket be used for a long-term. Universal Size: DROK geared motor mounting seat can be widely used in 37mm small gear motor series. 1. 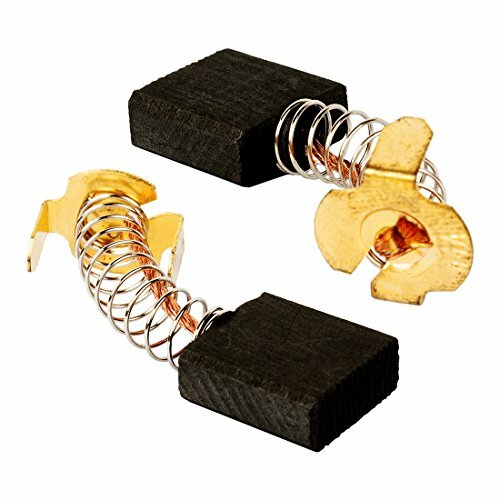 1Pair 16mm x 11mm x 5mm electric replacement motor carbon brushes. 2. Carbon motor brushes are one of the most commonly replaced power tool components. 3. Carbon Brushes with wire leads and brush springs attached. Worn brushes are often the cause of a poorly running motor. 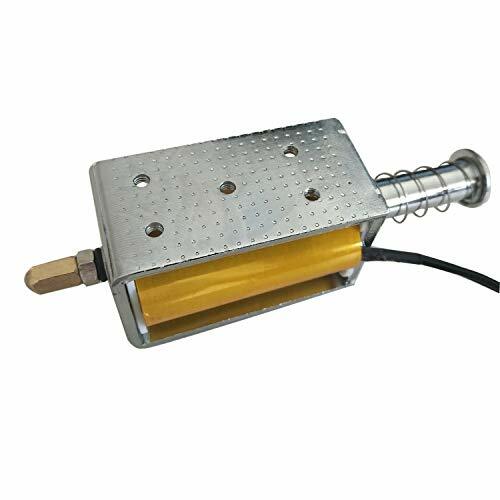 Specification: Model: JGA12-N20 Material: Metal Working Voltage: DC 12V Output Speed: 100RPM Gearbox Size: 9 x 12 x 10mm/0.35 x 0.47" x 0.39"(L*W*H) Motor Size: 15 x 12 x 10mm / 0.59inch x 0.47inch x 0.39inch (L*W*H) Shaft Diameter: 3mm/ 0.12 inch Shaft Length: 9mm/0.35 inch Weight: 9g Main Color: Silver Tone, Black, Bronze Package: 1 x Mini Gear Motor Application: Electric toys, electronic door locks, instruments, medicinal equipment. Small speed reducing motor with metal gearbox increases torque. 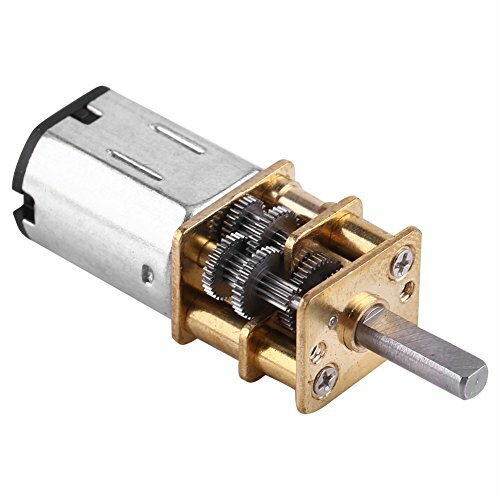 Micro gearbox motor for DIY RC Hobby, vehicles, drones, planes and more. 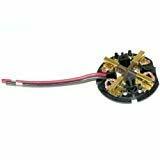 Mini dc gear motor is small and lightweight to easily mount a wheel on the motor's output shaft or copter blade. 20 Pcs 21/32" x 27/64" x 13/64" Carbon Brush CB325 for Makita 9554NB 9557NB These brushes can be used for Makita 9553NB, 9554NB, 9555NB, 9556NB, 9556PB, 9557NB, 9557PB, 9558NB, 9558PB and GD0600.There are 2 Pcs carbon brushes in each box, total 10 boxes are included here. Non-OEM pruduct. 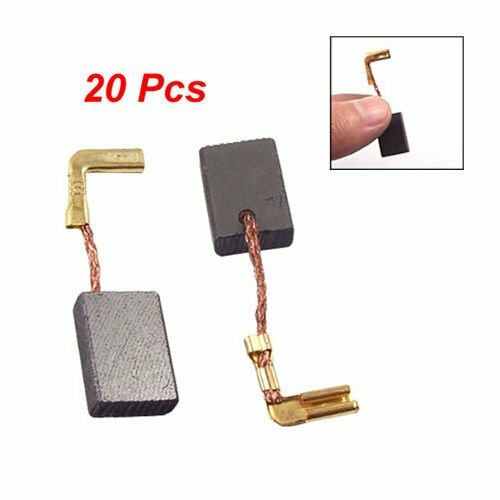 There are 2 Pcs carbon brushes in each box, total 10 boxes are included here. Non-OEM pruduct. Usage range: Wide range of use, home appliances, vending machines, game consoles, car door locks. Please note that as an automation device actuator. Because the current, single-cycle not long power for point formula work. Single power work time within 2 seconds of the best! Long energized coil will cause a short circuit is similar to artificial electromagnet overheat temperature is too high will affect the life of the electromagnet. 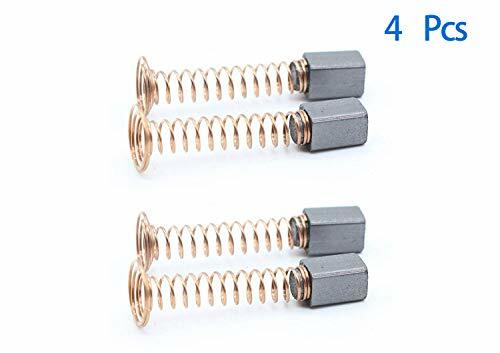 Power-driven core load off by the spring return(Please note, relatively soft springs, only the iron core reset) Push nut convenient headband fixed object, such electromagnet by impact work. Inertial force huge impact. Suitable For: Vending machines, transport equipment, office facility household appliance, mechanical, etc. The Ridgid 44815 is a set of two motor brush assemblies. The brushes are used on the Ridgid 700 Portable Power Drive. Ridgid products offer unmatched durability and reliability. Ridgid has remained the symbol of certainty to dedicated professionals of the expert trades. Every tool that bears the Ridgid brand is engineered to the same high standards of quality and strength and endurance, as the first heavy-duty pipe wrench more than 80 years ago. Ridgid covers its products with a lifetime warranty against defects in material or workmanship for the life of the tool. Description: Carbon motor brushes are one of the most commonly replaced power tool components. Worn brushes are often the cause of a poorly running motor. Replacing brushes can fix an intermittent motor. New brushes can restore electric braking of a motor. 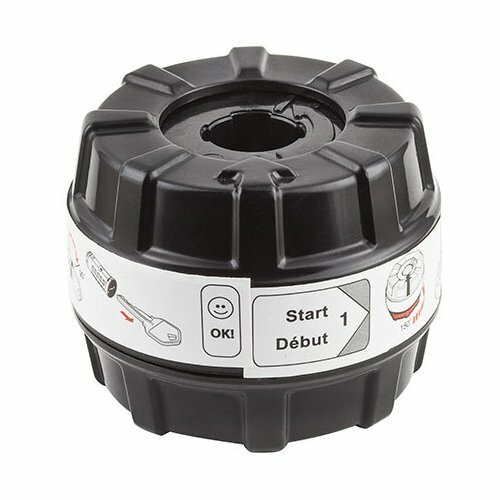 This authentic OEM sourced replacement partis designed for use with Milwaukee power tools. 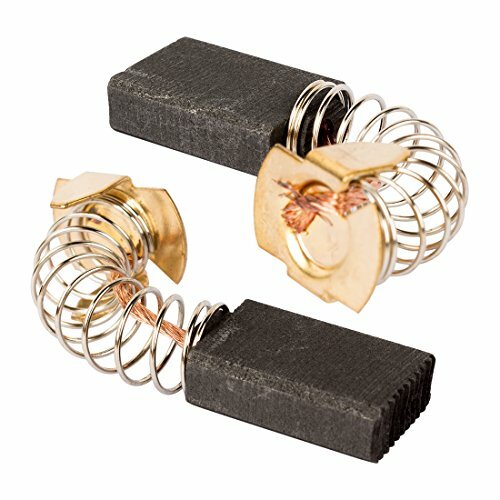 This assembly holds carbon brushes around the armature to provide stable contact. This assembly consists of: plastic holder ring, four (4) metal brush holders with springs andfour (4) carbon brushes with lead wires attached. To replace this assembly you would need a screwdriver.